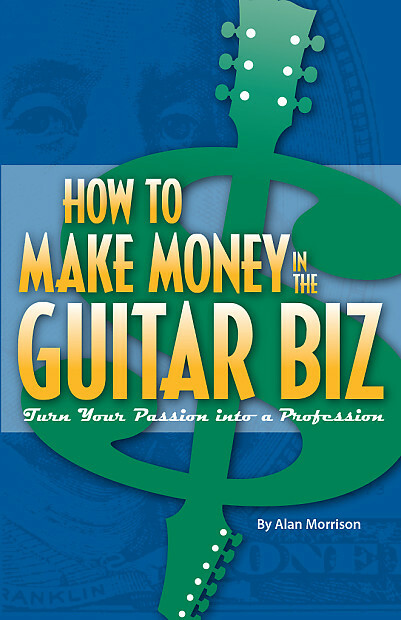 Whether you are looking to make a little extra money on the side, or are considering making your living in a guitar-related business, How to Make Money in the Guitar Biz is for you. If you are already in the business and looking for new ideas, you will find this book useful as well. 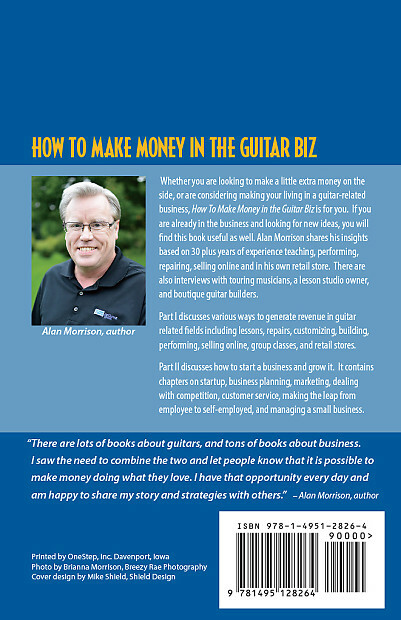 Alan Morrison shares his insights based on 30 plus years of experience teaching, performing, repairing, selling online and in his own retail store. There are also interviews with touring musicians, Greg Hipskind, owner of QC Rock Academy lesson studio, and boutique guitar builders including Mark from G'Zan Custom Guitars, and Doug Kauer of Kauer Guitars. Part I discusses various ways to generate revenue in guitar-related fields. Part II discusses how to start a business and grow it. Ordering multiple items? Place your order and let us know. We will remove the shipping charges for all but the item with the highest shipping charge. Currently this is a manual process, but Reverb.com is working on a solution. All items are shipped within one business day of receiving payment. We offer a 7 day return policy. Please contact us before returning any item for instructions. Buyer pays return shipping unless we shipped an incorrect or defective item. We do not accept returns on electronic components once they have been soldered, installed or otherwise altered. If you have questions on any of our products prior to ordering we're happy to help.